The IP Module is an easy to add plug in module that enables the system to communicate over a TCP/IP network for reporting and remote system configuration. Non stocked item please allow additional 2 days for delivery. The IP Module is an easy to add plug-in module that enables the system to communicate over a TCP/IP network. It can be used as the primary communication or as a back up to a GSM/GPRS or PSTN communication in case of communication failure. 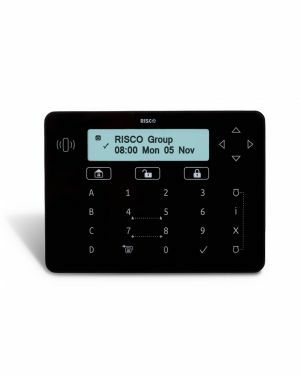 The IP Module uses common format protocols (SIA, Contact ID) to send alerts to monitoring stations using the RISCO IP Receiver that connects the alarm systems to the central monitoring management software. In addition, the system can send events in SIA IP protocol over TCP/IP to monitoring stations that have standard IP receivers. For end users, the IP module enables sending email alerts and system status information. The IP Module enables remote programming of the panel using the configuration software.